Brimming with potent botanicals, our regenerative anti-aging face oil easily absorbs and deeply penetrates to deliver skin rejuvenating nutrients directly to where they’re needed most. Protective and refining, our lightweight Luxury Face Oil is an antioxidant-rich serum formulated with 16 skin nourishing oils from around the globe, including the age-defying powerhouses: argan, baobab, carrot seed, goji, the ‘Immortelle’ helichrysum, jojoba, rosehip, sea buckthorn, and tamanu. From correcting pigmentation to lightening dark spots, these precious plant extracts kick-start the skin’s repair and renewal processes accelerating cell turnover and collagen synthesis to gradually refine skin tone and texture and smooth fine lines and wrinkles. The result? Visibly brighter, firmer, softer skin suffused with a luminous, youthful glow. Relax and let the sumptuous, heady notes of vetiver, sandalwood, neroli, frankincense, ylang ylang, rose, and geranium take over. This ‘elixir of youth’ is sure to be a star player in your daily skincare routine. Appropriate for all skin types, especially mature, sun-damaged, and/or pigmented skin. Excellent for calming and soothing rosacea, eczema, psoriasis, and dermatitis. The Luxury Face Oil is by far the best product I have ever used and I have tried many over the years! Only a few drops morning and night and this has become my complete skin care regime. I could not believe the difference in my skin after only one week of use! Fine lines are diminishing and I have received so many compliments on how soft and healthy my skin looks! it truly is luxury for your skin! Amazing product, great service and such impressive packaging! So happy I’ve found you!! I have recommended you to many! This oil is AMAZING! I’m obsessed and will definitely be ordering again!! I’ve had this awful deep line between my eyes for years and I’m not even kidding it’s almost gone within a week. I have used soooo many firming creams trying to reduce it and nothing has ever worked at all I’m in disbelief! I was worried about using oil on my skin as it has a tendency to break out and this has made my skin the smoothest and healthiest it’s ever looked. Love this product. I look younger already and will be ordering more soon. 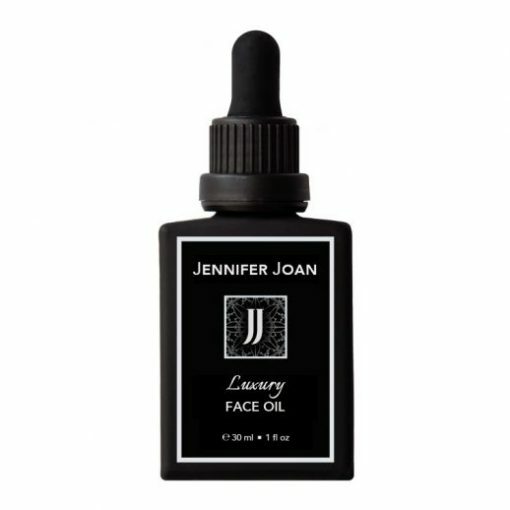 The Luxury Face Oil is my absolute favorite! I never leave home without a bottle and it has saved my skin on so many occasions. It has become our family travel ‘hack’ and we use it in so many ways; serum, moisturizer, under my eyes, added a drop to body lotion for skin that has seen too much sun or when I want a little extra glow. We have even found it to be healing on little cuts and scrapes. Thank you for shipping to the U.S! I am very happy that I have found this face oil. It is just excellent….my skin is now hydrated & healthy & it actually glows. Gone is that dull, dry look that I have had for years. I totally recommend this face oil. Great face oil! I’ve been using it for over a year & my skin has improved dramatically – well hydrated, even skin tone, healthy glow & so very soft. I’m told that I look younger than my age – how wonderful is that? And so simple – cleanse & apply face oil AM & PM. Nothing more. I was at first reluctant to use an “oil” on my skin – I had used serums for many years; however, this line is pure luxury and aptly named. I live in Phoenix, AZ and am sold on the Luxury face oil and the Mandarin body oil. I have started spritzing my face with Evian before application. There is no residue on my bed linens or clothes-a huge plus! I would recommend these products to anyone. The body oils are going to be my gift to people on my Christmas list. You will feel like you have been to a luxurious spa. I’ve been using the Luxury Oil for about 6 months now. I can honestly say my skin looks healthier & is soft and well hydrated …… which is a challenge living in a dry climate. An added bonus has been the amazing effect it has had on a large scar on my face, from a rather nasty, deep surgery for melanoma. The scar tissue continues to soften & the scar is barely visible now after 4 months. Love this natural, beautiful smelling oil! I highly recommend it! This is a life changing product. I couldn’t believe the difference in the texture of my skin and the hydration level. The face oil leaves a radiant glow all day and diminishes fine lines and wrinkles quite quickly. I also like the fact it’s all natural and has nothing but high end healthy ingredients for the skin. I was a bit hesitant to put oil on my face but thought I would try it anyway. I followed directions- 4 to5 drops on slightly damp skin twice a day. Was happy to see that it absorbed very well. In less than a week my skin had a healthy glow to it. Gone was that dull, lifeless look. I have used name brand moisturizers through the years & have never, ever had this result. Upon reading the info on the ingredients used, it made sense to me why this oil is so effective. I totally recommend this face oil – you will be so happy with it. Thank you for making an unscented version of this oil for my sensitive skin! I use it on my face at night to keep the flaky winter skin at bay, and I’ve also used the oil in bikini area for wax aftercare with great results!